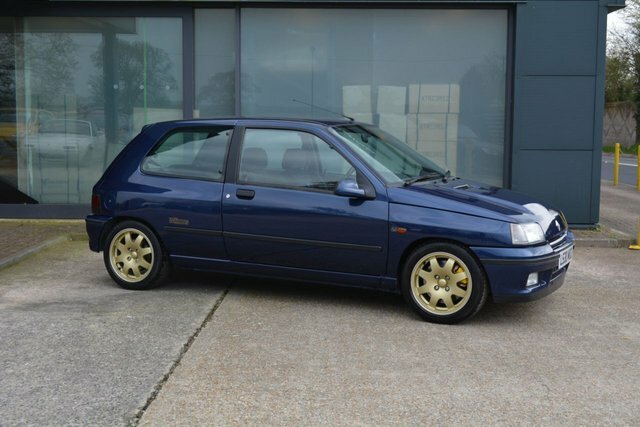 This very rare Renault Clio Williams 1 edition has just been put back on the road after being stored for the last 9 years. Having just passed though our workshop where we have carried out a major service, cambelt and water pump change along with fitting many new components including shock absorbers, lower arms, brakes, headlight etc as part of its journey back to being used again. The bodywork is very good order as is the rest of the car including wheels, tyres and interior. The car is supplied with a folder of paperwork but I am afraid we are missing the service book hence the lower price. It drives very well indeed and the engine and gearbox are in very good order. 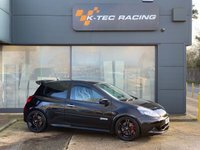 Being a Williams 1 model it is the most sought after of the Williams Clio range and prices continue to climb as it already a classic car. For further information, or to arrange a viewing please contact us. Free self adjusting finance calculator available on request, just email us for a free no obligation quote. Fully tailored low rate finance packages available with low deposit and up to 5 year term. Warranty extension from our standard 6 months to 15 months from just £149, please contact us for more information. All cars Experian Auto Check clear.